Chelsea Market is celebrated for being an emporium of Manhattan's food culture. 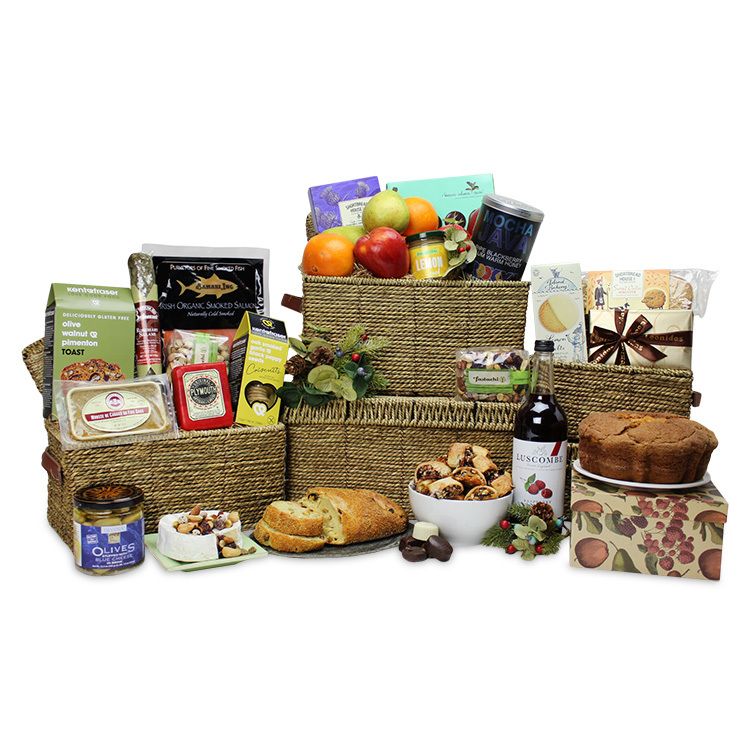 This gift captures the flavors and tastes of our home in an impressive tower of three beautiful hemp baskets. This is an exorbitant gift to send to a well deserving office or home. To warm their hearts, we've included a number of featured sweets: a pound of hand-rolled New York Rugelach, a pound of Belgian Leonidas Chocolates, two different shortbread treats from Shortbread House of Edinburgh, lemon cookies from Island Bakery, lauded Summerdown Peppermint Creams, a whole Grandma's Coffee Cake, and a jar of our house brand Lemon Curd. We've also included a canister of BK Roasting Co. Coffee to pair perfectly with these sweets. 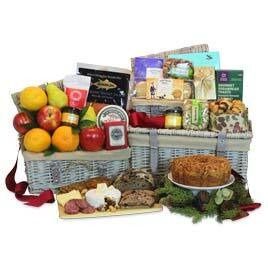 For some serious nourishment, the savory items of our abundant basket will spoil them rotten! Highlights include mousse de fois gras, a half pound of fresh smoked salmon, cured salami, generous servings of Vermont cheddar and French Camembert cheese, stuffed olives, two varieties of roasted nuts from Fastachi, Kent & Fraser dried fruit Toasts and cheese Criscuits, and freshly baked renowned Amy's bread. To help you wash it down, we've included a large bottle of Luscombe juice from England. Decorated and carefully packed, this gift is perfect for extending your well wishes to the fortunate recipients. This item contains fresh fruit and therefore, due to state law, can not be shipped to California. This item contains highly perishable products that should not be in transit for more than 1 day. They were delivered on time and fresh. I was pleased with the service I received. Great work/presentation, quick email response and fast delivery confirmation. Thanks!